We are extending this February 2015 edition of I HEART HATS sale until the end of February. Come to the shop during regular hours and get 20 – 80% off everything in the shop. All Hats, Vintage Finds, Stationary & Men’s Accessories is 50% off. Vintage Jewellery, Bath and Beauty Gloves, Real and Faux Fur is 20 – 30% off! Please Join us. Where you ask? We’re located on Lakeshore Mews in Downtown Barrie. Please visit littlehatshop.com for directions. In all downtown Barrie lots parking is free on Saturdays. $.75 cents/hour 9-5 m-f, Meters take $ .25, $1.00, $2.00 coins and Visa Cards. I am so sad to miss your trunk sale… have a previous engagment with some gal friends in T.O. However… the good news is Feb 8th is my bday and I have the day off to be self indulgent. I wonder if I might drop by to see any remnants of the trunk sale; and perhaps use my bday month discount to get myself something special for a wedding coming up at the Ice Hotel in Quebec City!!! 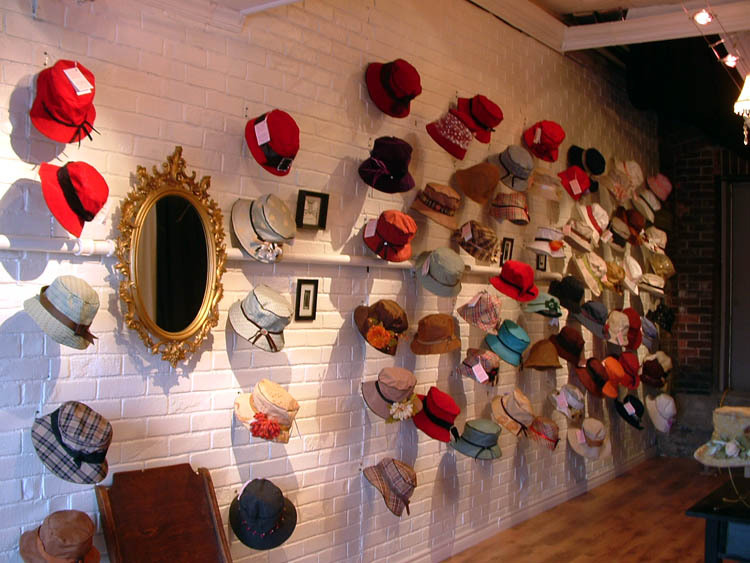 You both know me… red hair.. quirky… love bright colours.. and my lovely step daughter who buys fedoras.